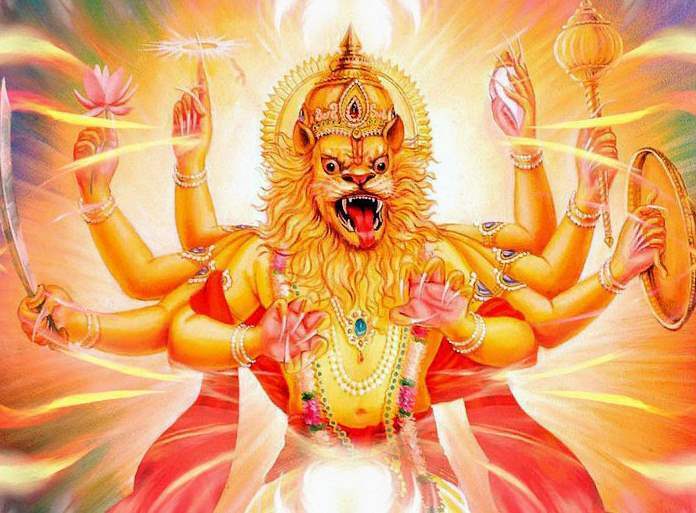 Lord Narasimha, the fourth incarnation of god Vishnu, is half-lion half-human. This incarnation is to to alleviate the sufferings of devotees symbolizing fight against evil and tyranny. Lord Narayana is considered to be the origin of the other transcendental forms of God. From Narayana, Vasudeva is manifest, and from Vasudeva, Sankarsana is manifest (Agni-purana 48.13). And according to the scriptures, Lord Narasimha is an expansion (amsha) of Sankarsana. 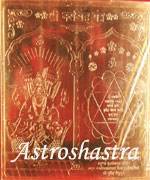 Narshima Yantra , duly energized if kept in home or office and worshipped, all evil forces are deystroyed. It controls enemies threat , their misdeed. debt problems and diseases. Narsingh yantra is also very effective in removing Vastu dosha of a House. It brings good luck to house and more happiness prevails , if kept in Puja Ghar. It can be hung on the out side and inside the main door for protection from evils sprits. It protects the inmates from all kind of bad energies and spirits. If someone is doing tantra , It cuts the evil or bad tantra and protect the person who is performing puja on it regularly. Lakshmi Narayan Yantra - Symobolism of Lord Shiva in the form ancient geometry in gold plated copper plate to appease him. Vishnu Shasrnama Puja -is done for a long and healthy life and to get rid of prolonged sickness.